The city of Dalat, located on the mighty plateau of Lam Vien at over 1,500 meters above sea level, is famous not only for its splendid villas of French architecture with dreamlike scenery surrounding, but also for its heaven-sent climate of coolness and freshness all year long. 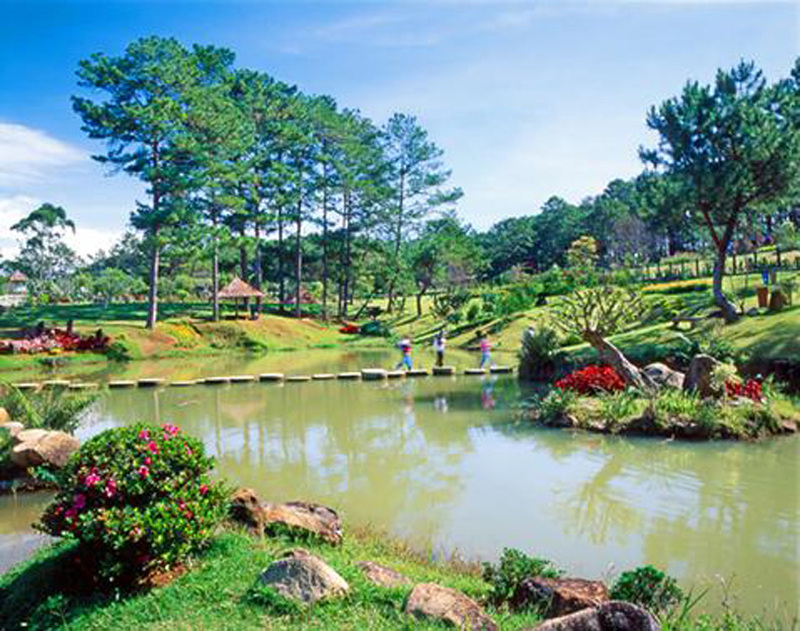 Visitors to Dalat can enjoy the special weather of four seasons packed in a single day. 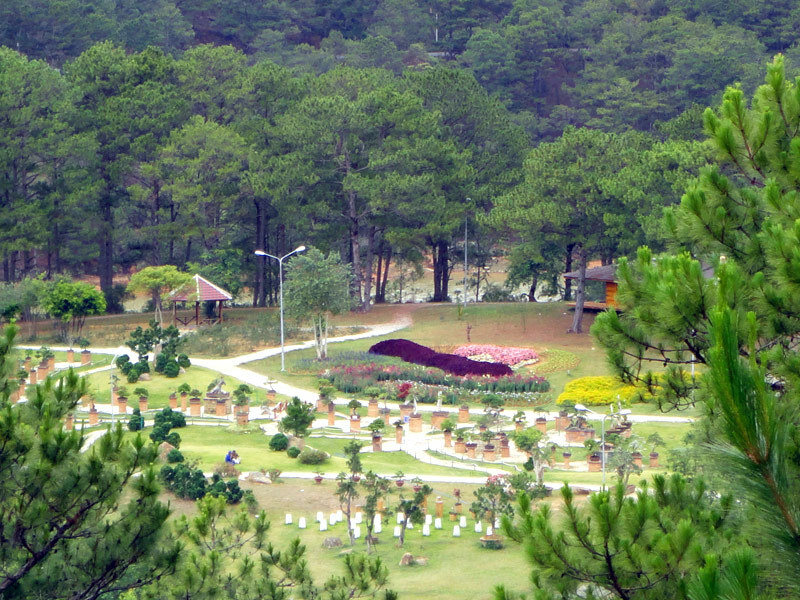 Dalat has been gradually proving its attraction to domestic and international tourists. 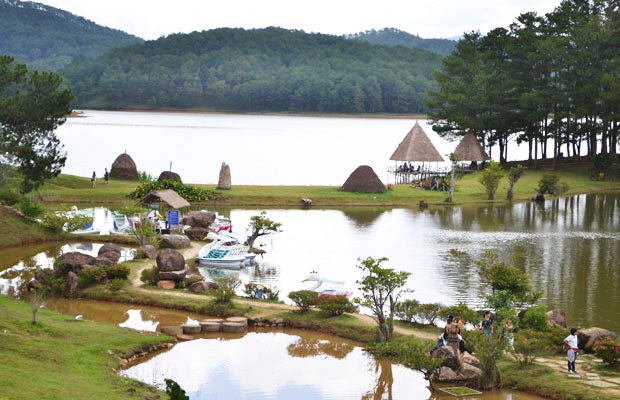 In recent years, one of the most celebrated sites favored by most of visitors to Dalat for photographing and sightseeing is the wonderful manmade resort of Golden Valley. The resort of Golden Valley, around 15 kilometers away from city center, lies near the lake of Golden Stream surrounded by a 200-hectare forest of pine trees, which contributes to create its unique cool and clear atmosphere. 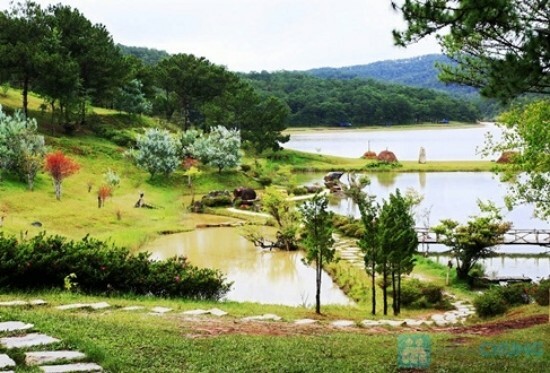 Thanks to skilful and talented engineer Tran Dinh Lanh, the wild and desolate landscape has been turned into one of the most well-known destinations in Dalat. The current resort was initially used to accommodate workers from Lam Dong Water Supply and Sewerage Association. But over time, great efforts from local residents and authorities have turned the temporary house into a famous ecotourism destination nationwide with miraculous collections of flora and stone works surrounded by a mighty forest of pine trees. The resort of Golden Valley is well-known for its unique and matchless sites, such as artistic bonsai trees in interesting shapes and beautiful works with pretty names around the resort as "Garden of Silence", "Stream of Water-Rail Flowers" and "Great Pond" where lots of tourists love to saunter along. In addition, the stone garden of the Four Supernatural Creatures and Tai Chi Entertainment Centre are favored by several international visitors for their poetic, Oriental beauty. 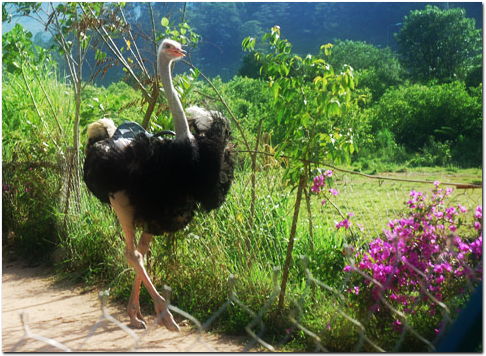 Tourists will be also fond of riding ostriches around the resort. Unlike feelings of relaxation and amusement when riding horses or elephants, tourists can enjoy unforgettable moments swaying lightly on ostrich back. This beautiful and romantic resort is also the top preference of loving couples who want to save their most critical and hallowed instants.